He proposed consideration of the so-called nickel tax, an assessment of five cents per $100 value of a property. He said that in many cases, a school district is not eligible for some state funds without such a tax in place. Smith said that the district's facilities have needs, citing outdated roofs and HVAC systems, as well as entry points in need of updates. "Over the last five years, the school board and I have taken a fiscally conservative approach to our budget in anticipation of facility needs," Smith said. "This conservatism is allowing us to upgrade the entry to Bellevue Middle and High School to be more accessible for all students, and at no additional burden to the taxpayers of our community." Smith said he is often asked about Bellevue's facilities, and why other school districts can make improvements while Bellevue stays the same. He answers that with one word: revenue. Other districts, he said, have positioned themselves to receive more revenue, and that additional funding allows them to act in situations that arise, and gives them more bonding power. He says it is a simple equation; the more a district takes in, the bigger the projects they can take on. According to Smith, Bellevue has the lowest tax rate by far, when compared to other independent school districts. 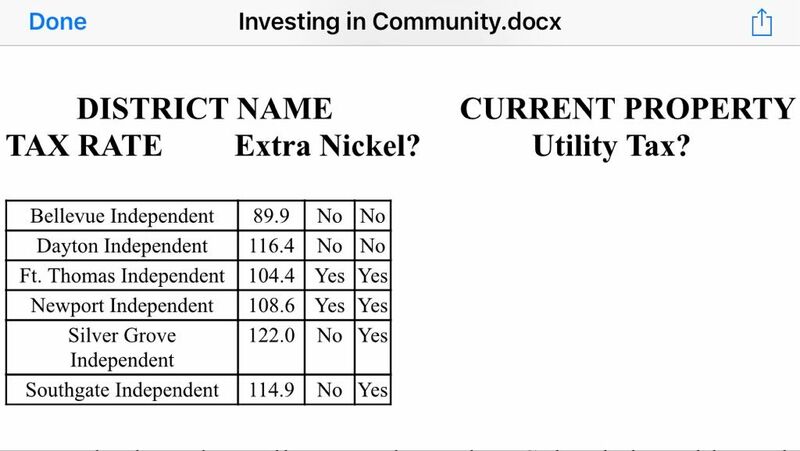 Bellevue doesn't receive a nickel tax, which would go directly to facilities, or a utility tax. He has stated that it is very difficult to improve facilities when every dollar rightly goes to the students. Over the last few years, Smith commented that the city has had a resurgence of interest, and home values are the highest in years. He believes there is a strong correlation between those home values and school district success, so he would like to keep the upward momentum going. "I would argue that we do more with less than any district in the state," he said. "I ask for your support as we look to improve facilities, but more importantly, opportunities for our children." In other business, Jim Hicks was voted Athletic Director of the Year by his peers last month. Also, board member Julia Fischer was appointed to be the legislative representative for the 2019-2020 school year.